Group bookings are required to give 7 days notice of cancellation to avoid penalty charges and a non-refundable deposit of 25% of the booking value is required when the booking is made. Group bookings are defined by 10 or more people.Reducing the number of nights of a booking while checking in may result in penalty charges. Credit card details entered when making a booking will be validated – if the details provided are incorrect the booking may be removed from our system. Check-in time is between 1pm – 10pm. If you anticipate an arrival later than 10pm please contact us and we will provide you with late arrival instructions that enable you to self check-in at any hour. Check-out of your room by 10am please but you are welcome to stay on the premises until your onward transport departs. No key deposit is taken but management reserve the right to charge $15 for failure to return your room key. No responsibility is taken for guests personal property left on the premises, secure storage is available upon request. Management reserve the right to take action in the event of unruly behavior – property damage, theft, inappropriate behavior may require those concerned to leave the premises. No smoking inside (outside designated smoking areas only). Pickups are available by advance notice but not later than 9pm. Returns to onward departures are at specific times and must be pre-arranged. 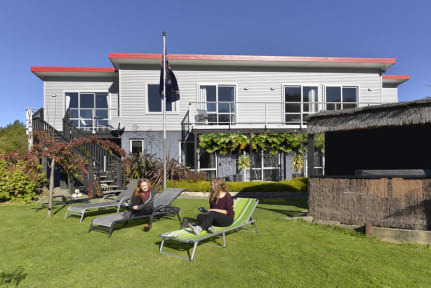 Tombstone Lodge and Backpackers Picton offer a unique experience for everyone of all ages. 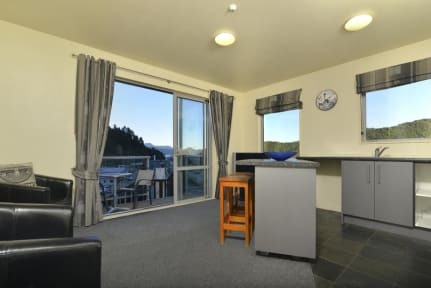 Our fully insulated, warm and modern accommodation provides guests with a variety of rooms from private to shared facilities. Apartment, Queen en-suites, Queen and Single rooms with shared bathrooms, 3 and 4 share en-suites, and Dorms. Group bookings are welcome. We can also book your wine tour or trip in the Queen Charlotte Sounds.